Research - DERlab: European Distributed Energy Resources Laboratories (DERlab) e.V. Below are the research projects which the DERlab office is involved in. For more information on the research activities of DERlab members, please see their individual member profiles. According to the JRC Smart Grid Projects Outlook 2014 , the majority of cooperation takes place between organisations from a limited number of Member States, while 15 analysed countries account for less than 5 % of the Research & Innovation funds altogether. Researchers from EU get assisted and free-of-charge access to the ERIGrid research infrastructure facilities in Europe through the provision of 21 different laboratories provided by the ERIGrid partners. The European Union (EU) energy security policy faces significant challenges, as we move towards a pan–European network based on the wide diversity of energy systems among EU members. In such a context, novel solutions are needed to support the future operation of the EU electricity system in order to increase security of supply also accounting for the increasing contribution of renewable energy sources. INTERPLAN is a project that aims to provide an INTEgrated opeRation PLANning tool towards the pan-European network, to support the EU in reaching the expected low-carbon targets, while maintaining network security. INTERPLAN will provide a methodology for a proper representation of a “clustered” model of the pan-European network, with the aim to generate grid equivalents as a growing library able to cover all relevant system connectivity possibilities occurring in the real grid, by addressing operational issues at all network levels (transmission, distribution and TSOs-DSOs interfaces). As the power system’s structure develops to a more and more inverter dominated grid, the power quality and reliability will no longer be based on synchronous machines, but system services are more and more being distributed among inverter based generation. In order to operate the future power system securely and stably, appropriate control algorithms and operation procedures have to be developed. Inverter systems can partially reproduce physical properties similar to those of synchronous generators. Netzregelung 2.0 (Grid Control 2.0) focuses on these tasks for the German part of the Central European interconnected grid and aims in developing robust control methods for grid forming inverters as well as proofing the stability for the inverter dominated grid. NOBEL GRID aims to develop, deploy and evaluate advanced tools and ICT services for distribution system operators (DSOs) and electric cooperatives, thus enabling active consumer involvement and market flexibility. Thus, this project also considers new demand response schemas and new business models for aggregators, energy service companies (ESCOs) and the integration of distributed renewable energy production. Through the dual-use of telecommunication networks and by validating the integration of distributed renewable generation and demand response systems, NOBEL GRID will offer advanced services not only for DSOs but to all actors in the distribution grid and retail electricity market in order to ensure that the consumers benefit from better prices, more secure and stable grids and the renewable electricity suppy. The ELECTRA Integrated Research Programme on Smart Grids brings together partners of the EERA Joint Programme on Smart Grids (JP SG) to reinforce and accelerate Europe's medium- and long-term research cooperation. Together, the JP SG and ELECTRA will establish significant coherence across national research efforts, critical for the stable operation of the EU power system of 2020+. Smart Grids European Technology Platform (SmartGrids ETP), supported by the European Commission 7th Framework programme, brings together key stakeholders from electricity networks sector, the network operators, generation, technology suppliers, research community, and regulators. DERlab joined the secretariat of the platform 1 October, 2012 and supports the activities especially by organising workshops with specific stakeholder groups to discuss smart grids R&D related topics at the European level. In case of a blackout, transmission system operators are responsible for initiating the grid restoration process. This system service is currently mainly rendered by thermal power stations. With an increasing percentage of distributed energy resources in the grid, the application of the restoration process strategies faces certain challenges. The NETZ:KRAFT project aims to advance the development of existing processes and to define the role of renewable energy resources in the grid restoration process of the future. The DEA-Stabil project is aimed at determining, evaluating and securing the stability of the German integrated electricity network for future scenarios. The project focus is set on the question of how to increase the contribution of distribution grid connected wind and photovoltaic energy systems to grid stability. As a member of the project consortium, DERlab takes care of networking and disseminating the project results on the international level and of developing recommendations for the further harmonisation of European grid connection requirements. The DERlab database of grid connection requirements for generators is accessible here and has been extended in the frame of the project. DEA-Stabil is a German research project running from April 2013 until March 2016 and funded by the German Federal Ministry for the Environment, Nature Conservation and Nuclear Safety (BMU) under grant agreement number 0325585B. EEPOS - Energy management and decision support systems for Energy POSitive neighbourhoods - is a research and development project funded by the European commission under the 7th Framework programme running from October 2012 until September 2015. The EEPOS consortium aims at the realisation of the idea of energy positive neighbourhoods. The developed EEPOS system will be characterised by open interfaces to energy and heating grids as well as to local prosumers. As a member of the EEPOS consortium, DERlab leads the development of the EEPOS neighbourhood automation and management system basing on OGEMA. STARGRID - STandard Analysis supporting smart eneRgy GRID development - is a collaborative coordination and support action funded by the European commission under the 7th Framework programme, aiming at the provision of a comprehensive analysis of the current standardisation efforts, considering also new industry developments and initiatives in the field. The project is carried out by a consortium of 5 partners from 4 European countries and will be running for two years (October 2012 – September 2014). COTEVOS – Concepts, capacities and Methods for Testing EV Systems and their Interoperability within the Smart Grids aims to establish the optimal structure and capacities to test the conformance, interoperability and performance of all systems comprising the infrastructure for the charge of Electrical Vehicles (EV). COTEVOS verifies the functionalities different systems require to manage EV charging and the associated smart grid infrastructure. The project is carried out by a consortium of 11 partners from 9 countries. The project duration is from September 2013 until February 2016. PV GRID - Reducing barriers hampering large-scale integration of PV electricity into the distribution grid addresses the regulatory, administrative and technical barriers hampering the integration of PV into the electricity Distribution Systems (DS). PV GRID will continue the work of the project PV LEGAL which focused on the regulatory and administrative aspects. DERlab leads the technical discussions reviewing and evaluating the most appropriate technical solutions available for network and consumer side as well as for PV system side. The European Energy Research Alliance (EERA) was established in support of the Strategic Energy Technology (SET) plan of the European Commission. DERlab participates in the Joint Programme on Smart Grids that aims at addressing a medium and long-term research perspective for the accelerated smart grid development and deployment. DERri - Distributed Energy Resources Research Infrastructure provides free access to leading DER testing facilities for European researchers. External researchers can apply to use facilities of 13 European research laboratories - free of charge. The partners in the project consortium also conduct joint research activities. DERlab took over the lead of dissemination activities in July 2011. DERri is financed under the European Commission's FP7 Capacities programme. SOPHIA - PhotoVoltaic European Research Infrastructure forms an umbrella over European photovoltaic research infrastructures. Having 21 partner institutes from 10 countries and covering the whole PV chain from materials research to PV systems, it strengthens the research cooperation around PV in Europe and enables more efficient use of laboratory infrastructures. As a project partner DERlab takes part in the work on PV module performance testing and also compiles a database of research facilities. SOPHIA is financed under the European Commission's FP7 Capacities programme. 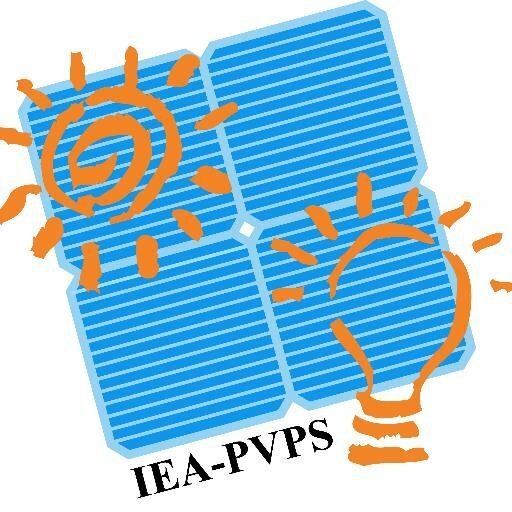 HiPe-PV - High-Penetration of PV Systems in Electricity Grids is a European Contribution to the Photovoltaic Power Systems Programme of the International Energy Agency (IEA PVPS) . Task 14 analyzes how PV penetration level can be increased by proposing improved prediction tools, improved inverter behavior, optimized grid management and optimized local energy management. DERlab will bring a European harmonized view on the current control and functional requirements for smart PV inverters. The activity will start in the spring of 2012. During 2005-2011, 11 research institutes from 11 European countries collaborated in the "European Network of Excellence of DER Laboratories and Pre-Standardization", supported by the European community's 6th Framework programme with the contract number SES6-CT-2005-518299. The cooperation led to the foundation of the association "European Distributed Energy Resources Laboratories (DERlab) e.V." in 2008. Activity Report 2011 to 2012 [4.168 KB] of the association. Further information can found on these webpages, for example on Publications and Events.